We're starting summer off sweetly on entertaining and recipes featuring the pineapple. 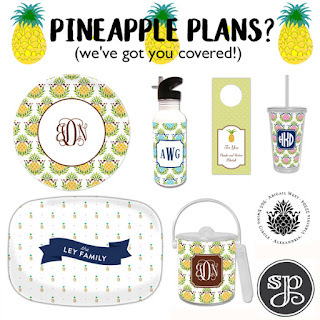 We've pulled our pineapple favorites together on our website here for you to browse and select with ease! We also wanted to share some of our favorite recipes and entertaining ideas featuring this sweet and beautiful fruit. So, sit back and relax and let's start summer! 1. 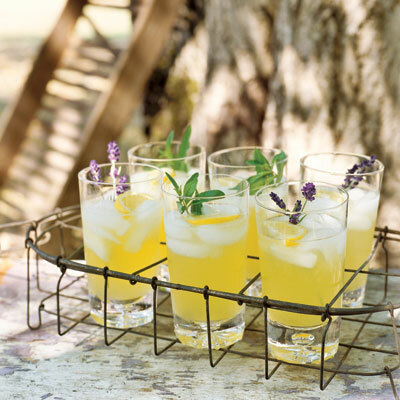 We love this fun recipe from Country Living for a non-alcoholic Pineapple Cooler. Perfect for relaxing on the porch with friends as the summer days start to heat up! This baby will de-core and slice with ease--perfect for those of us who would rather spend time eating our pineapples instead of cutting up a pineapple! 3. This guy has smart tips for slicing a pineapple and getting it ready to serve! So pretty! 4. If you're having a party, why not decorate with these sweet tissued pinapples? Adorable!